Hello, everyone! 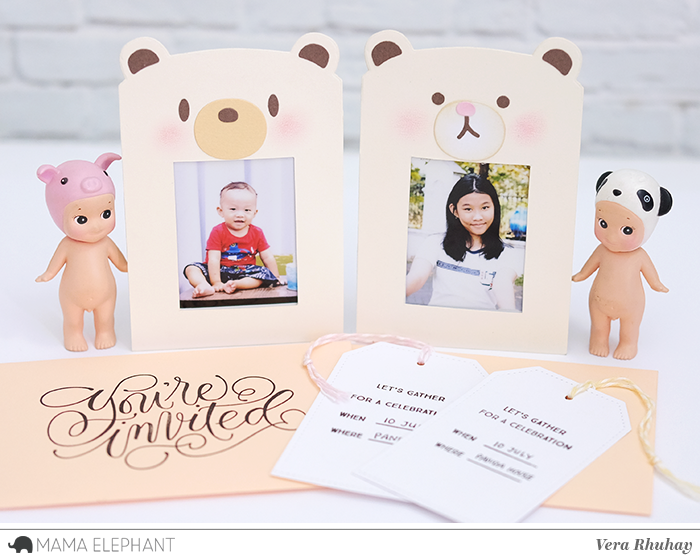 Vera here today with Inspiration Week project featuring Mama Elephant DIY Invitation and Invitation Wishes. 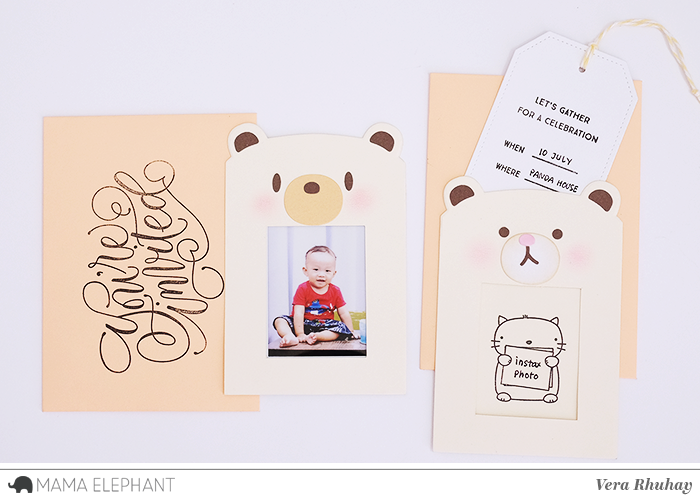 I made invitation card with instax photo frame and Favor Bag Accessory Bear is just perfect for making this 2 in 1 card. Here’s a video to show you how I created these cards. How adorable! Lovely idea, thank you for sharing.